In a city that loves traveling back in time, there’s plenty of vintage hangouts to be discovered. When it comes to retro culture, Athens certainly can’t compete with cities such as Paris or London. And yet, the Greek capital is definitely staking its claim in the vintage landscape by catering to the needs for entertainment and the alternative, nostalgic sensibilities of a colourful crowd of hipsters, young indie girls in love with everything oh-so-cute and old-timey, eccentric fetishists and, naturally, nostalgic lovers of times gone by. 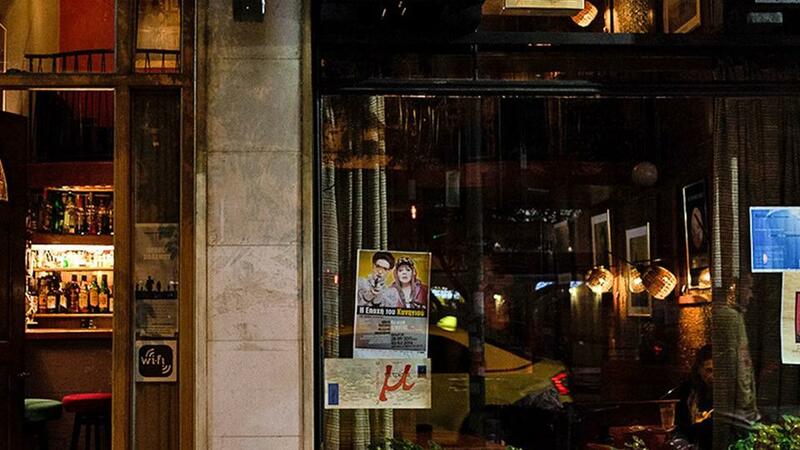 This selection of some of the most famous retro hotspots in Athens is for them – and you. This is the oldest bar in Athens, dating back to 1958. Au Revoir is located on Patission, the avenue that connects Omonia Square with Kypseli, Athens’ most desirable neighbourhood during the 1960s. Nowadays, the bar, surrounded by the faded splendour of the area is like a rabbit hole that leads you back in time. Many 1950s and 1960s actors, poets and artists regularly visited this place. Aristomenis Provelegios, one of Greece’s most famous architects, designed the aesthetic masterpiece, which is old Athens at its glorious best. More than a half-century later, the owner, Lyssandros, is still in the saddle, serving the clientele and recounting exciting stories from the bar’s past. According to one, Frank Sinatra came to Au Revoir one night after a concert in 1962. He sat down with two bodyguards, drank a bottle of Jack Daniels, left a hefty tip and then departed. Today, you’ll find intellectuals, writers, and students, all sitting under framed paintings and smoking like there’s no tomorrow. As for the bar’s music selection, it’s mostly oldies, particularly jazz and French sounds. 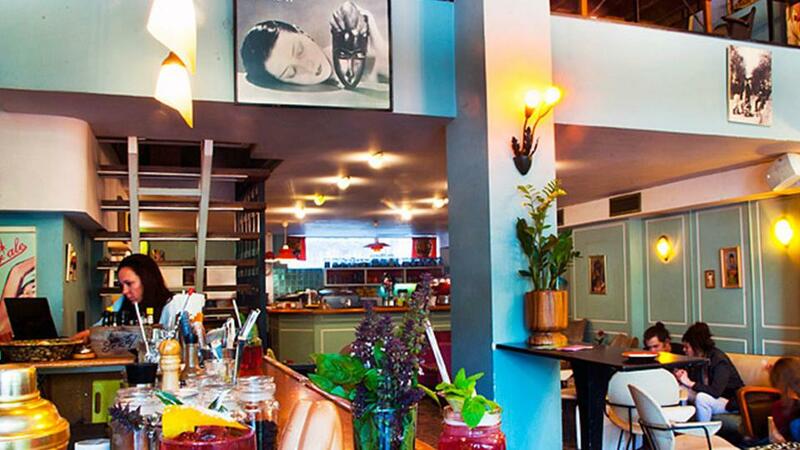 Au Revoir serves a superb dry martini and, as old Athenian tradition has it, a variety of aperitifs and cognacs. In central Athens, on Stadiou Street, stands a large statue of Theodoros Kolokotronis, a prominent leader during the Greek War of Independence, on horseback with his right arm raised, presumably showing the way to battle. However, Galaxy regulars prefer to say that he’s actually pointing to the bar! Since it opened in 1972, this place has become a classic hangout. Vintage advertisements alongside pictures of regulars and famous figures complement the American-style decoration, providing a mythic dimension to the venue. Behind the bar is Jimmy, a well-known bartender who’s always neat and dapper, suave and polite. Celebrated Greek composer Manos Hatzidakis regularly enjoyed his midday coffee with acclaimed poet and lyricist Nikos Gatsos here, as well as other local and foreign artists, journalists and politicians who, over the years, have spent countless nights drinking and philosophizing. The decibel levels are kept low and the choices are classic – Johnny Cash, Dalida, Louis Armstrong and so on. Galaxy is not a typical retro bar – as it has remained unchanged for decades now, it’s a genuine landmark of Athenian culture. Located conveniently near the Acropolis and Hadrian’s Gate, just off the main tourist beat, is Tiki Bar, rightfully regarded one of the best cocktail bars in Athens, offering a wide range of drinks, including proper tiki cocktails. 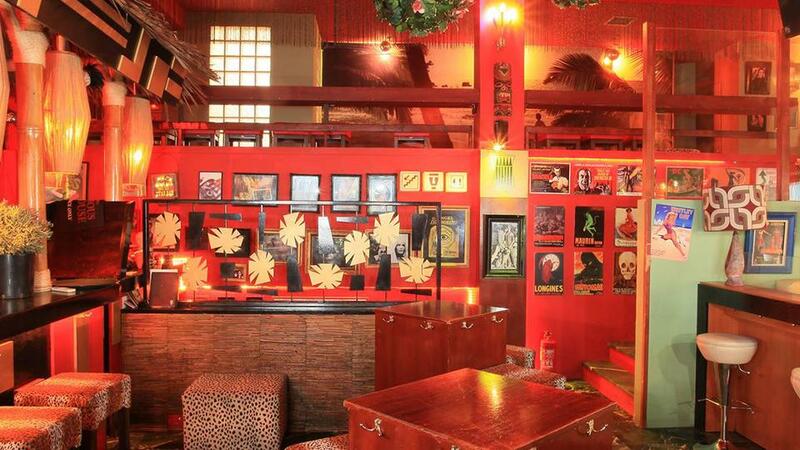 Tiki is a burst of exotica, a funky bar with a 1960s atmosphere. It’s the only bar in Athens that describes itself as lounge-punk, welcoming exotic cocktail enthusiasts with an atmosphere replete with bamboo, red spotted walls and jungle-like furniture, keeping alive an era long gone. Inside this softly lighted Hawaian-style place, guests are surrounded by colourful eye-catching posters of 1950s pin-up girls, keeping company to a staff of imaginative bartenders who mix rum-based drinks in a creative manner, using handmade syrups that you won’t find elsewhere. While Tiki Bar usually has live bands, especially on the weekends, it also plays a cool selection of mid-century retro jazz, Italian, French and rock ‘n’ roll tunes. The fun of the party never wanes here, and the guests never get bored – including Swedish singer Jay-Jay Johansson, who visits the bar every time he’s in town. When Mellie Economou opened Ginger Ale in 2006, she wanted her customers to feel like guests in her own home. She achieved this by creating a very special place in the heart of Exarchia, offering old-fashioned 1950s and 1960s comfort and warmness. Originally an artists’ hangout, Ginger Ale has become trendy over the years and is now like a second home to people of all ages who keep coming to party, socialize with friends or settle down in a quiet and comfy spot, where they can sit with their laptop or a book. It’s considered to be the most cheerful vintage cafe/bar in town, and it hosts numerous live performances, rock ‘n’ roll and swing parties, exhibitions and, occasionally, vinyl bazaars. Head to Athens’ historic 1980s discotheque for a neon-covered night of partying that conjures up the glory days of the decade with everything 8190s, from décor to music and cocktails. You’ll find yourself letting loose to Top of the Pops and Eurovision classics that will give you the perfect excuse to get up and dance, Saturday Night Fever style. Soulis, the owner and DJ, is the sole master of the decks and loves livening up the night with his humour and by dedicating love songs (e.g. “Kostas dedicates the next song to Maria because he really fancies her!”) through the mixing console’s microphone. 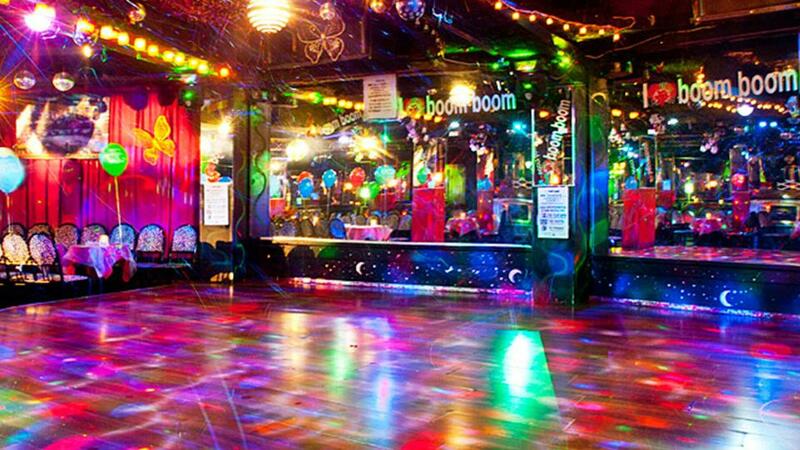 Boom Boom promises a fun-filled party atmosphere where you can practise your Harlem shake and revive the moonwalk, with the disco ball sparkling with floating bubbles! Classic songs by the likes of Abba, Wham and Boney M, as well as 1980s Greek pop hits, spur guests to hit the dance floor. Boom Boom is a glitzy disco capsule that everyone enjoys to the max with glow sticks, glittering hats and heart-shaped sunglasses.